A flavourful, spicy soup with basic ingredients you probably already have in your house! Except the green curry paste. You might need to check out the ethnic food aisle in your local grocery store for that one! 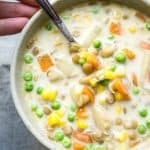 The up and down weather of spring has me wanting hot and cozy soup one day then a big, fresh salad the next. Do your food choices follow the temperature on any given day? This soup really warms you up. The spice from the curry paste is just enough to make you breathe a little fire. If you’re sensitive to spice I’d recommend cutting the curry in half. If you order a 10 on the spiciness scale when the server asks, then go ahead and add a bit more into the soup. My favourite part of the soup is the water chestnuts. They add a bit of crunch to the meal! Through insanely strong cross linkages in the cell walls water chestnuts defy all other plants and adamantly stay crunchy. Much to my delight. Awesome news for lentil lovers! In this recently published study people who consumed a high amount of lentils had a 33% LOWER chance of developing type 2 diabetes then those who only at a small amount. Guess what? The “high amount” is very achievable! It’s only 1 serving a week. 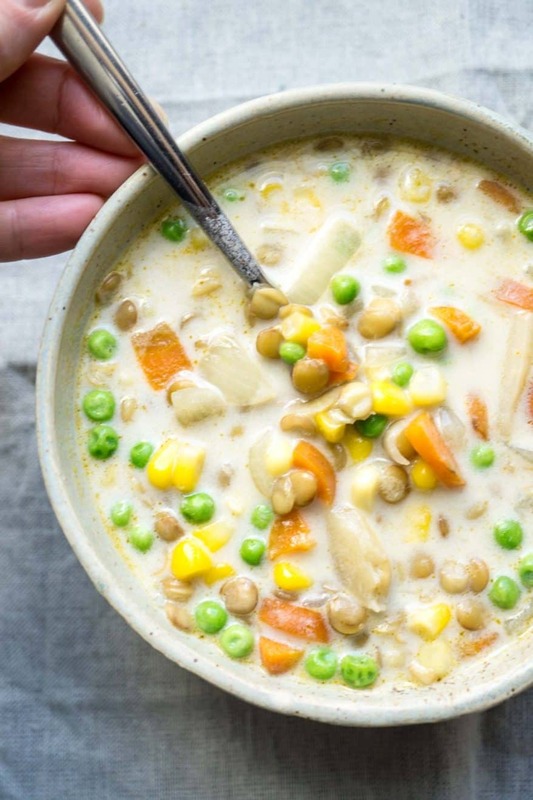 Seriously; eat at least 1 bowl of this soup a week and your future self just very well may thank you. 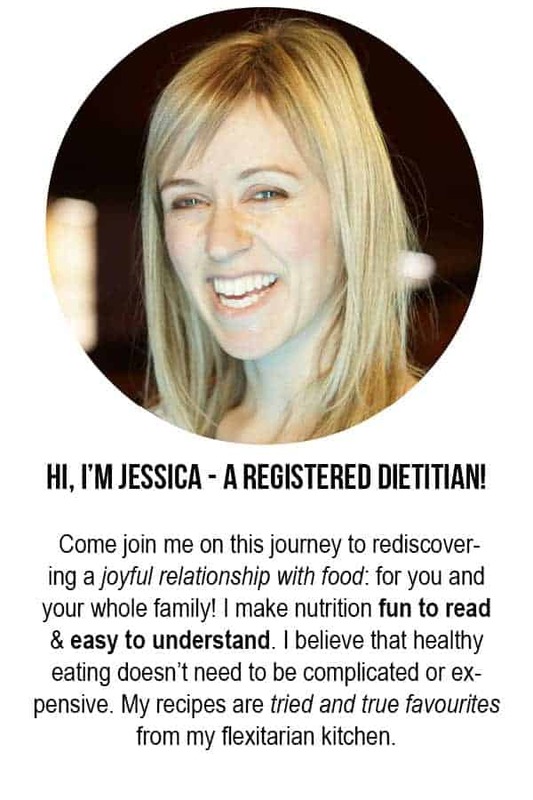 Or check out some of my other lentil recipes like high protein peanut butter granola. Or vegan lentil fakin’ bacon bits. Or Mediterranean quinoa and lentils. Or Moroccan beef and lentils. Or skinny taco meat…. Heat the oil over medium low in a soup pot. Chop the onion and add to the pot. Cook until soft and starting to turn brown. Add in the ginger, garlic, and curry paste. Saute 1 minute more. Add the bouillon paste, water, salt, brown sugar, carrot, and lentils. Add in the water chestnuts, peas, corn, and coconut milk. Heat thoroughly then turn off stove. *I enjoy using the Better Than Bouillon brand. Looks tasty! But where are the lentils in the recipe? Haha! You know, I had the feeling that I was missing something. I read the recipe over like four times but didn’t find it! Too obvious…. glad that the word ‘lentil’ was in the title so that someone else was able to catch it! Thanks! No problem! 🙂 I tried looking for green curry paste at Superstore last night but could only find red curry paste (which I already have). I’ll have to keep looking! 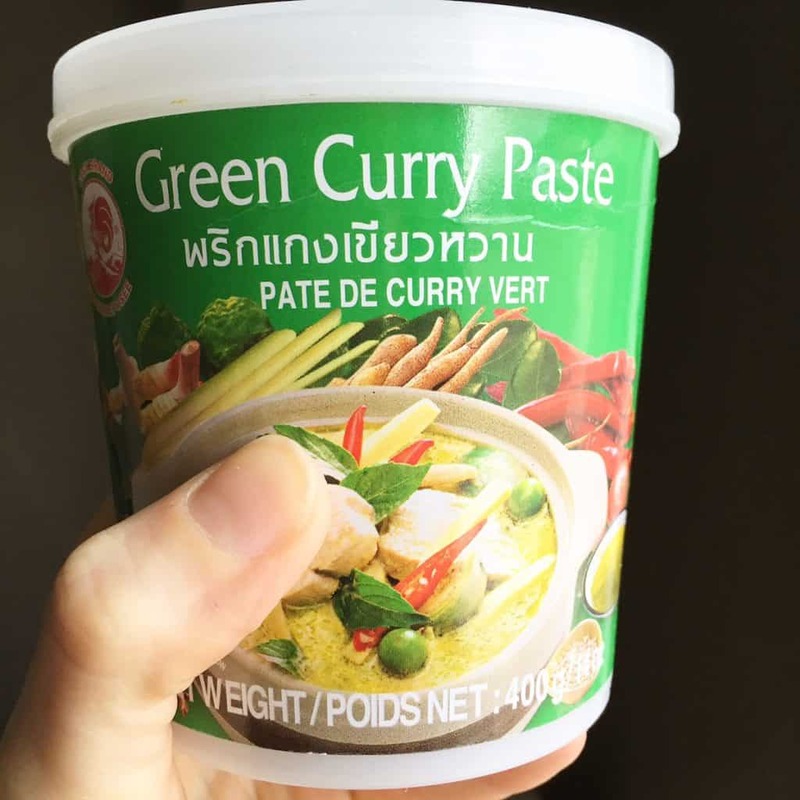 Where do you get green curry paste? I’ve added a photo of the green curry paste I use. I bought this one in the imported foods aisle at Superstore. It’s also available at most Asian grocery stores. I’m not sure about the other main grocers such as Sobeyes or Safeway. They might carry it too.